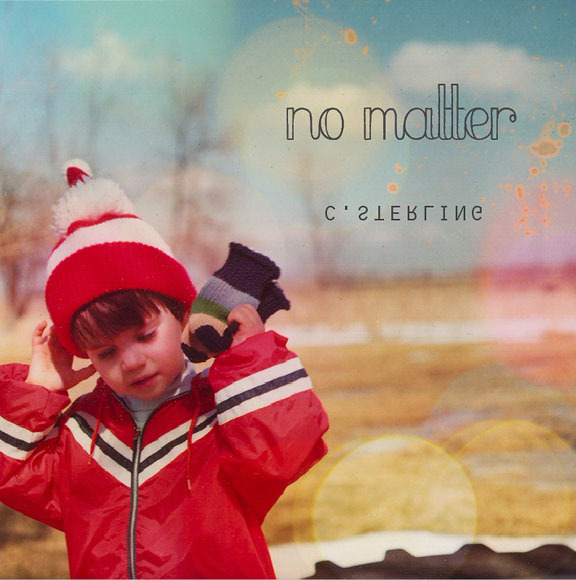 The 4 song EP by Vancouver based C. Sterling entitled No Matter feels like an introduction of sorts. Often times when new music falls into my lap I scour the internet to find out source material on the artist I am reviewing and while I am aware that C. Sterling is Craig Smith's latest incarnation, that is all I know. For the purposes of this review I decided to just let the music speak for itself. The songs on No Matter are not spectacularly produced, the composition's structures don't surprise you or divert from where you think they will go and they are not on the cutting edge or ahead of the latest musical trend. For all these reasons and more I love this brief introduction to C. Sterling. The songs swept in ambient sounds and timeless folk progressions pull you easily into their own stories. "All That Hell You Breathe" with it's double time strumming and breathy vocal performance instantly sounds sad. It has an Elliot Smith like sensibility. It feels immediate and a bit claustrophobic and then mid-way through it erupts from sadness into a synth bed of tears. It has a great emotional tug of war going on. "No Matter" gets more folksy, complete with birds chirping in the background. The song with the cadence of a Medieval troubadour's love song is bolstered by Casey Mecija wonderful voice. "Tiger Proud" with it's upbeat tempo, picking guitars, active bass line and stirring synth sounds feel like a steam locomotive chugging along until it gets lost in a romantic fog. "Sum > Parts" has a wonderfully embracing feel. It stirs you slowly with it's organ swirl and Smith's vocals that feel both torn and healing. It has a church like quality, it begs you to hold your neighbors hands and sing along. It is simply beautiful- "I do like the light in your eyes... it gives me a reason to try". I have to agree with you. "No Matter" became so folksy with birds chirping in the background. The lyrics is great but didn't translate well as a whole track.